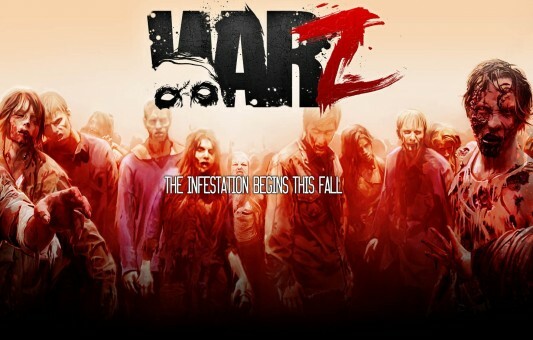 The War Z released a couple days ago, although I use the word released very loosely. For one, the game’s in its Alpha stage, so this is by no means a full release, or even a beta. Secondly, the launch was, to say the least, plagued with issues. The game was scheduled to come out October 15th, but wasn’t available until around 6:00 PM EST after being delayed hour after hour. Following this, the client became available, and the download for the Alpha was around 1.5GB if I’m remembering it right. This includes 30% of the full Colorado map that will slowly be increased as we approach the Beta part of testing, which is in the last week of October. So after you download the game and get in, you make a character and jump into a server. Oops, this is plagued with issues too. Players will constantly get a “client needs updated, please restart” message, forcing them to close the game, and restart, only to find that no update is available. From first hand experience, I can say this is very, very frustrating, as sometimes the game loads painfully slow. But once you’re able to get in, this is both the best and worst part. The game itself is fun. There’s undead roaming, but the real threat is other players. You’re trying to get guns, water, and food, and you’ll have to deal with real players while you attempt to stay alive. Do you trust them? Kill them? It’s up to you. This is incredibly fun and tense, especially if you have a rare item. Now for the worst part. The state of the game right now is dreadful. The zombie animations are horrible, the graphics are terrible, and the game crashes tons. I know this is an alpha, but the game should be at least somewhat stable. Worst of all, the developers decided it was a good idea to allow players to be able to kill each other with flashlights in just a couple hits, whereas for zombies it takes around 10 shots to the head. Despite these issues, The War Z is still incredibly fun, but I can’t recommend you play it if you want any sort of stable experience. Hopefully things will be better by later in October when the beta begins. I’ll keep you updated on anything War Z in the meantime.